Every spring in the eastern region of the United States, warmer nights with steady rain bring the migration of thousands of spotted salamanders to ponds and pools, often across busy roads. These crossings are magical, and secretive—most people don't even know they happen. 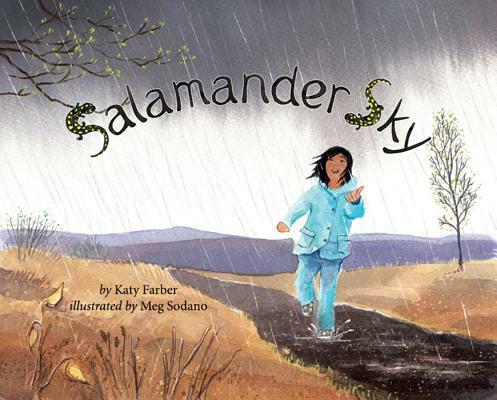 Salamander Sky features a mother and daughter who go out on a rainy night to help the salamanders cross the road safely. This dramatic, full-color, picture book introduces readers to the elusive spotted salamanders and the perilous nighttime journeythey take each spring. Amphibians worldwide desperately need protection. This book is a valuable tool for getting children engaged in conservation.